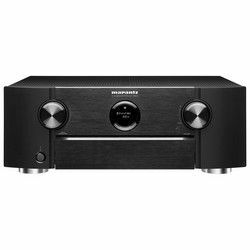 The new AV-receiver is unlikely to surprise anyone, even if it can play Dolby Atmos or commute 4K with HDR. 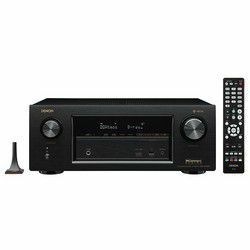 Sony STRDN1080 vs Denon AVRX3400H have this classic Hi-Fi component, while the vector of home Hi-Fi development has a different direction, and the main innovations are required to have the word “network” or “multiroom” in the title. 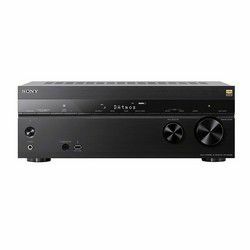 For example, Sony and Denon, which is actively developing its HEOS network multi-room systems, has taken and integrated them into a new line of AV receivers. And the life of the home theater has played with new colors. Features like "In-Ceiling Speaker Mode" which reproduces more natural sound by lowering the position of audio output from speakers installed in the ceiling and "Center Speaker Lift Up" which is supposed to produce a natural sound that feels more authentic by lifting the sound from the center speaker up to the height of the screen. Sony STRDN1080 impressed with this feature. If you use a center-channel speaker you know it’s impossible to mount it in the true center of your TV screen. 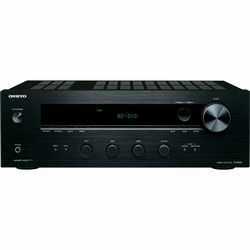 If to compare the Denon AVRX3400H vs Sony STRDN1080 has more decent performance. It is equipped with 180 W per channel discrete amplifiers, the new AKM4490 32-bit DAC, and a powerful Cirrus Logic DSP processor. On board there are decoders Dolby Atmos and DTS-X, allow you to experience all the delights of 3D-sound, albeit in a minimal configuration. Sony STRDN1080 has a very easy-to-use Bluetooth output. This one is enabled by a simple remote button, connects almost immediately and has fine sound quality. 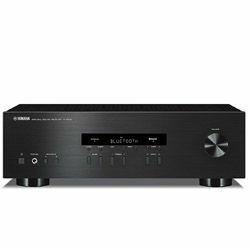 You can adjust the sound in the Denon AVRX3400H in two ways: manually, by setting the number, position, and size of the speakers, specifying the distances to each of them and selecting the crossover cutoff frequency for the subwoofer. Or you can go a simpler way, using the built-in auto-calibration system Audyssey MultEQ XT32. It will perform most of the above operations automatically. But do not take its presence as a panacea. Properly arrange the acoustics in the room and make the basic settings you need all the same user. Sony STRDN1080 is designed to please all who prefer a simple design with intuitive buttons and wheels. The bigger wheel on the right is a volume regulator, and the smaller one on the left of that allows you to choose the input channel. 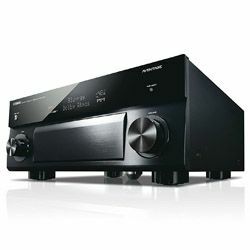 The size of Denon AVRX3400H is medium-sized (15.3 x 17.1 x 6.6 inches) and it weighs only 23.8 pounds, while the weight of its competitors could be even more than 30 pounds, that's why you will find the appropriate place without any problems. A backlit remote would be better. Great balance and plenty of basses. Rarely used buttons on the remote. The calibration cable is a bit short. Some menu items for unknown reason are extremely slow to react to their selection.